Is Home Cooking on the Decline? The conventional wisdom, often repeated by leading pundits in the food world, is that home cooking is disappearing with deleterious consequences to our health and the environment. Americans, especially women trying to earn a living while being primary caretakers, are simply too busy to bother spending hours in the kitchen when there is a whole industry out their ready to supply us with prepared foods at a modest price. But food historian Rachel Laudan pushes back against this idea. The research she relies on suggests that food supplied from home decreased precipitously from 1965 to the mid-1990’s (when more women were entering the work force) but has leveled off since then. As Laudan points out, there is some ambiguity in the research. It measures food from the “home supply” which could include prepared foods purchased at the supermarket. It also doesn’t seem to control for the lack of a fresh food supply in poorer, urban areas of the country. Poor people might eat more often at home if they had better access to markets. But the research is encouraging in that it shows that the home is still the site where Americans consume most of their food. Why does this matter? As Michael Pollan and others have argued, food cooked at home tends to be healthier than prepared foods, and locally-sourced food is better for the environment. But I want to point to other benefits of home cooking. This research shows that the kitchen, one central area where aesthetics and creativity enters daily life, still plays a role. We can all use more beauty and creativity in our lives and kitchen activity can be the site of daily creative practice. But, in addition, it is important to create space in our lives where commercial interests do not rule. 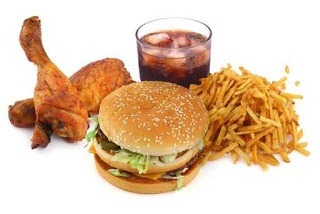 Yes, the food industry can supply us with the calories we need to function. But why turn our lives into profit centers for someone else? Why lose control over something so important as eating? Presumably, we work hard to earn money in order to control the conditions of life. Why then relinquish that control to corporate interests? Do We Need Psychoanalysis to Learn to Eat Well? In his recent interview with Ezra Klein, Michael Pollan expresses puzzlement at the Obama administration’s reluctance to take on the food industry. Perhaps Pollan’s right about our reluctance to change our diet but if so that is pathetic. The environmental impact of eating meat could be substantially mitigated by choosing to eat meat less often. Moving to a plant-based diet three times a week would make a big difference. So what does choosing an occasional plant based meal have to do with one’s identity? If eating pasta primavera insted of a cheeseburger is a threat to your identity–well your identity is a bit too fragile to survive the slings and arrows of human existence. 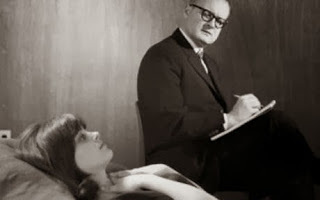 I recommend psychoanalysis along with the change in diet. Will Junk Food Really End Obesity? The Atlantic Monthly, a well-known and (in some circles) respected publication, published an article last week by David H. Freedman entitled “How Junk Food Can End Obesity”. The title should have been a red flag. When a title sounds too implausible to be true, it usually means some editor is trying to attract attention by being deliberately contrarian and misleading—it is the calling card of junk journalism. And that is exactly what we have here—junk journalism at its finest. First of all, the article does not really claim that junk food will end obesity. Instead, it claims that junk food is becoming less “junky” and if we just stop complaining about the food industry and let them find innovative ways to reduce fat and sugar, those good, altruistic folks at Kraft and Nestle will solve the obesity problem for us. In fact, the article is not about solving the obesity problem but is a screed directed against people who complain about processed food. The author dismissively refers to them as “Pollanites” after the journalism professor Michael Pollan, whose books have helped drive the trend towards fresh, organic, minimally processed, locally-grown ingredients. Huh? The wholesome food movement is preventing Kraft and McDonalds from making healthier food? He doesn’t supply evidence that the food industry is doing much to reduce fat and sugar in their products, but let’s suppose that claim is true. Does he really think the food industry is doing this out of kindness? Or is it the result of pressure from “Pollanites”? The message of the wholesome food movement—that we should take control of our food consumption habits and not rely on the food industry to provide us with the best options—is a threat to their business, and they are responding by at least giving the appearance of being concerned about nutrition. How exactly do Pollan’s books or his fan’s eating habits prevent Kraft from producing healthier products if they want? Freedman never says; his claim is utter nonsense. He then goes on to point out that some of the products sold at Whole Foods have more fat and sugar than food purchased at mainstream supermarkets. His example is something called Vegan Cheesy Salad Booster that apparently has more calories than a Big Mac. Is this a surprise? Whole Foods is a corporate food producer and like any corporation, it aims to make money. Although they offer organic and sustainable options, if they can make money by selling added fats and sugar they will. Pollan and his fans advocate fresh fruits and vegetables not “Vegan Cheesy Salad Booster” and nothing in the literature on wholesome foods suggests “Vegan Cheesy Salad Booster” should be on anyone’s shopping list if they are trying to lose weight. The fact that Whole Foods sells some unhealthy food is utterly irrelevant to the viability of the wholesome food movement, as is the fact that entrepreneurs are trying capitalize on this movement by selling junk food to vegans. The wholesome food movement is not out to shill for some company. Of course, Freedman ignores the fact that Whole Foods has an incredible variety of healthy food options to choose from, pricey though they may be. The rest of the article is so unbalanced one wonders if Freedman is on someone’s payroll. He praises one or two of McDonald’s healthier products but never mentions the rest of their menu. He criticizes chefs, such as Mark Bittman, who associate with the wholesome food movement but occasionally develop recipes with lots of fat; he never mentions the healthy recipes they create in far greater numbers. He is concerned only with the problem of obesity and dismisses concerns about the adverse health effects of chemicals in food or the environmental damage caused by non-sustainable agriculture. The conceptual difficulty with the entire article is that Freedman seems capable of thinking only in absolutist terms. He thinks the wholesome food movement is based on the equation “unprocessed=good, processed=bad”. But this is not the argument made by the wholesome food movement. Their argument is more complex: processed food tends to be bad for you; fresh fruit, fresh vegetables, and minimally processed grains and legumes tend to be good for you, if you don’t do anything to screw them up. Nothing in this article refutes that more complex message. The article does make one point that is worth keeping in mind although it gets obscured by the cheap rhetoric and appalling logic. It should be obvious that recommendations to eat fresh, minimally processed, locally-sourced ingredients will not, by itself, solve the obesity problem or any other health problem. Most people live in regions of the country where weather or lack of arable land prevents access to year-round, local produce. Furthermore, Freedman is correct that issues of class come into play. Health problems tend to be greater among the less affluent who cannot afford the prices at Whole Foods or a farmer’s market and who often live in “food deserts” where fresh ingredients are unavailable. Advocating that they eat fresh, locally-produced food will have little effect on their diets. Furthermore, there simply is no way to produce enough food to feed well over 300,000,000 people without industrial food production. The problem of a sustainable, healthy food supply is a systemic issue that cannot be solved through individual choice. Thus, he is right that industrial food production must be on-board if the problem is to be solved. But targeting the wholesome food movement is utterly wrongheaded. By, as much as possible, refusing to purchase processed foods and sending the message that food should be sustainably-produced and healthy, the wholesome food movement is trying to change the way we think about food with the intention of ultimately making the system work for us. They are interested in creating symbols of healthy eating. This pressure “from below” is a necessary although not sufficient condition for making such change occur. Waiting for our corporate masters to become enlightened is not an option. That seems plausible only to corrupt journalists who build articles around a catchy headline. Interest in food has exploded in the past decade in the U.S. America has found its palate after being a food wasteland for much of the 20th Century. Why this recent interest in food? As usual, Michael Pollan has something interesting to say on the topic. I think it’s interesting that this strikingly powerful interest in all things having to do with food coincides with a progressively more mediated, digitized life. We spend our time in front of screens. We don’t exercise our other senses very much. And food is this complete sensory experience. It engages all five senses. It’s a sensual pleasure. And it is also—and I think this is a very important part of the food movement—really a communitarian movement. I think Pollan is partly right. In contemporary life, we are certainly becoming less engaged in the physical world and more wrapped up in the whole online experience. But our digitized lives are not lacking in sensory experience. There is certainly plenty of visual and auditory beauty to be found online. Granted the sensations of touch, smell, and taste are left out of the online experience. However, I’m sure,as you read this post, in the back corridors of Google or Apple, computers that produce lovely aromas, rub our backs and are equipped with straws from which we sample the world of flavor are being designed. When these start appearing under the Christmas tree we will lose our interest in cooking? But Pollan is nevertheless correct in pointing to cooking as an antidote to an excessively digitized life. The problem with the online experience is not sensory deprivation. Instead, it is a kind of passive activity that does not invite us to engage with the world around us. When flitting between websites and social media, we are guided by our own intentions and interests; there is no world to offer resistance that demands a wide range of skills, exertion, self-transcendence, perseverance or commitment. (I’m speaking of entertainment, not work activity that must be done online, which can of course be challenging.) The whole person is not involved and the sense of being guided by something not ourselves, beyond our capacity for full control is less salient. By contrast, cooking engages a full range of human capacities. It is an inherently meaningful activity in which we strive for excellence by being guided by our ingredients, the limitations of our equipment, the laws of nature, and most importantly the demands of those who will eat our food. The culture of the table is a place where family and friends come together, where a variety of social dramas are enacted, where we are in dialogue with our community, culinary traditions, our own imaginations, and ideals of a good life in a context in which the hard surfaces of a world pushes back on us and imposes demands we cannot ignore with the click of a button. It is that engagement with a physical world that we seek when cooking.